Printer, photocopier & fax machine repair services throughout Melbourne. 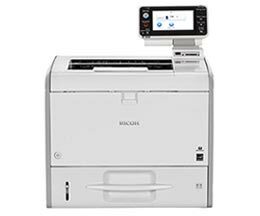 Able to service all major brands including: Lanier, Sharp, Canon, HP, Ricoh, Lexmark & Brother, makes us your first choice for all your printer, photocopier and fax machine repairs. With over 25 years experience, Copywell Australia are leaders in Copier and printer sales, repairs and leasing and we invite you to read what our customers are saying about us. If you are happy with our service and wish to provide feedback as well as share your Copywell experience with others, then simply click the button below to leave a testimonial. This is something we put together that you can post as a review. Just a quick note to say thank you for supplying the photocopier for the past few months. I really appreciated the service from yourself, it made the campaign run so much smoother. Feel free to pick the machine up whenever suits over the coming week, there is no hurry on our end, but we know longer require it. Just a quick note to say thanks very much for coming to our aid in replacing our old multifunction photocopier during the summer holiday break. I must say that both you provided prompt and professional service with sourcing a multi function photocopier and installing it at our offices in Hawthorn with short notice during the holiday period. A big thank you for the great onsite training and support. We will be more than happy to recommend "Copywell" to our business associates into the future. I would like to thank you for your excellent service regarding the supply and installation of our Ricoh/Lanier colour photocopier. Your prompt attention to our needs was greatly appreciated and the pleasant young man who installed the colour copier was very thorough and explained its operations very well. The photocopier is great and we are very happy with your recommendation. We purchased our first photocopier from Copywell over 3 years ago and since then we have purchased another three. We have received excellent services from Bill which has prompted us to only buy from Copywell. We have been using the services of Copywell for over 10 years now and are very happy with their professionalism and service. Thanks Bill for all your help over the years. We have dealt with Bill from Copywell for the past eight years during which time we have found him to offer prompt efficient service always there when we needed him. It's our second copier that we purchased from Copywell and it's going span. Just a brief note to thank you for your thorough and professional installation job on Wednesday night. I really appreciated his effort, and the timing of doing it after 5.00 PM worked out really well. Much easier to do a job like that when you don't have to work around people and be constantly interrupted. After discussing with Bill the size and type of the documents we are scanning, he set up the copier on my office computer network so that each employee can scan documents directly onto the desktop of their individual computers with one press of a button. For my office, this is much better than the other options we discussed such as scan to e-mail, which for big documents is a bit slower. Now, by the time I press the scan button and walk back to my desk, the finished document is sitting on my computer ready to use. As we had built up a bit of a copying backlog when our old machine broke down, the new machine worked away all day on Thursday, doing over 7,600 copies in one day without a single hiccup or paper jam. So the machine seems to be running very smoothly. My old Toshiba copier could never have done this many copies without constant breakdowns and paper jams. So far I'm very happy with the machine. In many ways the user interface on the Lanier is simpler and quicker and easier to use than the old Toshiba E-Studio that it has replaced. Also the copy speed is very good. We had discussed the choice of a 40 ppm or 50 ppm machine and as you know I went for the 40 ppm machine. I'm glad to say that the 40 ppm seems to be quite adequate for my purposes. In fact the copy speed on the new Lanier of 40 ppm seems in practice to be just as fast as the old Toshiba it has replaced, which was rated at 45 ppm. However the big plus is the lower copy cost per page of my new service contract with you, which I have worked out will result in the machine paying back the purchase price in just over three years. All in all a very good machine for the price and I look forward to receiving the benefits of the same good service I have experienced to date over the next five years. On behalf of Danber Financial Services please accept our appreciation for your services over the past 7 years. Your products and services have been of excellent standard and we have no hesitation referring your business to prospective clients. Thank you to Copywell for their fast and prompt service when we needed a new printer/fax fast. Bill was excellent and got the job done efficiently with little fuss. Had us up and running in no time. We have been using Copywell for at least 10 years, Bill service is always 2nd to none. I would not hesitate to recommend Copywell to any of my friends or business contacts. Thank you Bill, the new Copier (Lanier MP5001) has operated flawlessly.